All along the shore this week, SEA URCHINS have washed up on the beach (along with all sorts of other cool things!) after strong winds last week. Have you ever seen the inside of a SEA URCHIN? This one had been crushed (and decayed) but the only thing that happen to be still in tact was its mouth laying on the beach. When we see just this part of a SEA URCHIN we call it the ARISTOTLE’S LANTERN. We don’t see the ARISTOTLE’S LANTERN laying alone on the beach completely in tact very often since each part of the mouth like the five teeth that it using for chewing will get very brittle and fall apart after it dries out. In the next photo, on the left you can see the crushed TEST (the shell-like part) exposes the ARISTOTLE’S LANTERN and the one on the right has only a small part of the center mouth showing because its TEST is completely in tact. You can see the teeth showing in this SEA URCHIN (this is the opposite end of ARISTOTLE’S LANTERN thats showing in the previous photo).. This next photo is what it looks like completely out of the SEA URCHIN. The bottom part is where the teeth come out (like in the above photo) and the top end is what’s showing in the example of the one laying on the beach (on the left) two photos up. See? It sure does look like a little lantern to me… and it even has a little candle on the top- heehee. Cool, huh? There are so many awesome things that wash up on the beaches!!! 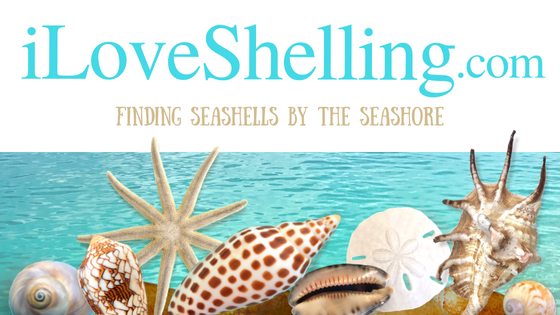 Don’t miss the boat for future iLoveShelling Shelling Adventure excursions…. reserve your spot now- CLICK HERE for more info. Beautiful photo of all your sea urchins, Pam! Yes, the Aristotle’s lantern is the jaws of the sea urchin. In life the urchin uses those jaws to eat, to graze algae off of rocks, or to scavenge what they can find in the way of edible dead stuff. Very nice sorry I missed them. I love sea urchins! Thanks once again Pam for educating people and teaching them how to know if a critter is alive or not!! Pam, can you tell us how you cleaned your dead sea urchins so you could display them? Also, is there anyway you could talk super Sheller Clark into giving us a tutorial on using the shelling backhoe? My husband and I never have any luck using the backhoe, so I’m not sure what we’re doing wrong. Does Clark just drag it along the bottom or dig deep in the sand? We just always seem to come up with broken bits of shells. We were just on Sanibel, and I saw my first shark’s eye egg collar along with all of the sea urchins. So cool! Thanks, Pam! We were on Cayo Costa yesterday and collected sea urchins and starfish washed ashore! Saturday in Englewood was turkey wing mania – never saw so many at one time! Amazing shelling! Thanks, Pam, for all of this info–it’s so amazing and I never knew any of it. And Pam, I have such big questions about this. For example, today it was a bunch of sea urchins that washed up on the beach. Another day it might be a bunch of Sunray Venus shells, and another day a bunch of starfish, and so forth and so on. I’m always wondering: “Just what exactly happens beneath the waves to cause this?” And, “How and why do bunches of a particular shell wash up one day and another kind the next?” I’m ALWAYS thinking about that and I would love to know the answer, if you have it! One more thing: I love your quote.”I shouldn’t be the one to choose whether he lives or dies. Mother Nature chooses that.” That’s awesome!!!!! I love all the information and your videos are so great. Listening to the swish of the shells as the tide brings them in and out makes me feel like I am with you. I live on the east coast of Florida and go shelling on Jupiter Island at a park called Coral Cay. I really love the relaxation of it most of all. The beach has a lot of rock formations along the shoreline and you can really find some goodies when the tides and conditions are just right. I’ve never seen any sea urchins, starfish or sand dollars. That would be a rare find indeed. I hope to make the trek across the state and spend some quality beach time on Sanibel. That’s so cool! I had no idea sea urchins had teeth! Thanks for a cool post! Omigosh Kathy! I just came over for a quick trip to Jupiter and ran out on that beach! It’s gorgeous and I found beautiful shells. I will share my trip soon and show the shells we found – we only had an hour or so on the beach but it was fantastic. That beach is right by blowing rock, right? Wonderful tutorial, Pam! Thanks so much. Always feels like we are right there on the beach with you! I live in calif and we hardly get any of sea urchins and I would like to have some for my sea shell craft projects. Is there a way to buy some in bulk. Maybe about 50 small ones?? Wonderful post! I will be on the trip on the 4th, and I am so excited! Love love love those sea urchins! Question on how you preserve them and get them so clean? I’ve done my best but the smell sometimes gets to me (especially those dark purple ones, of which I found several last November at Gulfside City Park…so fragile that most didn’t make the trip home despite careful packaging). Would love to know your secret!! Oh Pam, I was bummed to read you were in my stomping ground and I didn’t see you on the beach..that would have been great! Next time if you need a tour guide here, let me know!! After a glorious week shelling in Sanibel, I am eagerly awaiting a big box of treasure including a largish quantity of stinky Sea Urchins. I only collected the ones that had already been de-spined by the Gulf. One step done, thank you so much for the help! How to treat the stink? How to finish them off for preservation? My source for all things shelling… please help? Thought I might share some suggestions I’ve gleaned from others in the last few days. Let them dry completely, then take out the insides. Tweezers recommended. Followed by either alcohol for two days or bleach/water 1:5 ratio for 25 minutes. I found these suggestions encouraging as the large box I mailed home to myself arrived yesterday. I’ve been shelling at Turtle Beach just north of Casey Key and I find the same pattern; similar shells wash up on the shore in batches. I’d like to understand the rationale for this phenomenon. So would I, Fran!!!! It is so intriguing as to why bunches of similar shells will wash up on beaches. I wish I could see whatever phenomenon happens off shore underwater to make this happen!! Do you keep all the urchins you collect? Would you be interested to trade with some collected in Australia? Hi Sam! I keep some of the urchins I find and especially ones from different parts of the world and I’d love to get to Australia some day to find some. But honestly…. As much as I’d like to have a few Australian urchins, I actually like to find them instead of trade. So Sorry! I don’t intend to sound ungrateful and I wish I had time to trade but…. again i have to be honest…. I hate shipping stuff. I’m really not good at it- it takes me hours to find boxes, pack them well so nothing breaks and then and just labeling – ugh- its like torture to me. So thank you for the offer but I’m gonna have to pass. Sorry! Pam, I was at Lover’s Key yesterday and one of the rangers said there is a new FL law prohibiting the collection of ANY sea urchins – alive or dead. I cannot find anything online to support what he said – do you know anything about it? Oh boy. Not again. We had a very long conversation about this last year when one of the rangers said the same thing to another sheller. No, its not true- well I should say… I don’t know of any new law. One cannot take any living creature- thats the law in Lee County. I don’t know of any new law stating that you cannot take a dead sand dollar or sea dead sea urchins. If there were a new law, wouldn’t you think they would notify Lee County’s shelling advisor (thats me- heehee)? I’m going to look for the old post about this and if I find it, I will post another comment here so you can read it… and I will look into it again. thanks for the heads up! Thank you Pam! I shell at Lover’s Key all the time and this was the first time I had heard such a thing. My only thought was that it took effect on Jan 1 and I just wasn’t up to speed yet. Your blog is great – I love the photos and appreciate the info. you include in each one. Thanks again!